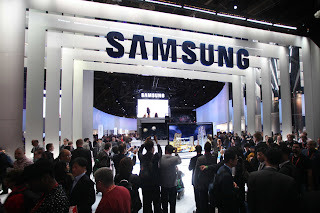 The following is my annual Product Trends review from the 2013 Consumer Electronics Show held in Las Vegas each year. This show is a melting pot of all the latest and greatest product offerings in the Consumer Electronic space. Tons of televisions, computer, mobile, home appliance and automation gear. The biggest push at CES this year is clearly the television manufacturers efforts to obsolete your current flat-panel television. Did you know it needed to be obsoleted? Probably not. You would probably say your current set looks great! Well, the manufacturers over the past few years have tried to hype up 3D as a reason to replace your current TV but those efforts have failed to generate much excitement. As I've mentioned here before...3D has been too much of a gimmick to me. You have this nice, bright flat-panel plasma or LCD and you put on these sunglasses that dim the overall image to get a 3D effect. And don't get me started on the tricks movie studios have been pulling to post-convert movies into 3D so they can charge more for them even though they were original filmed in traditional 2D! 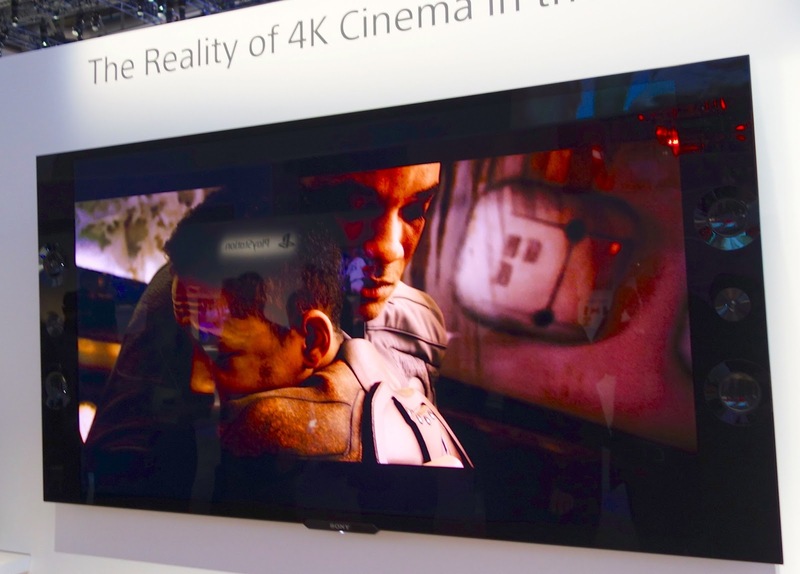 But this year is a bit of a different story, this year it is all about 4K displays. 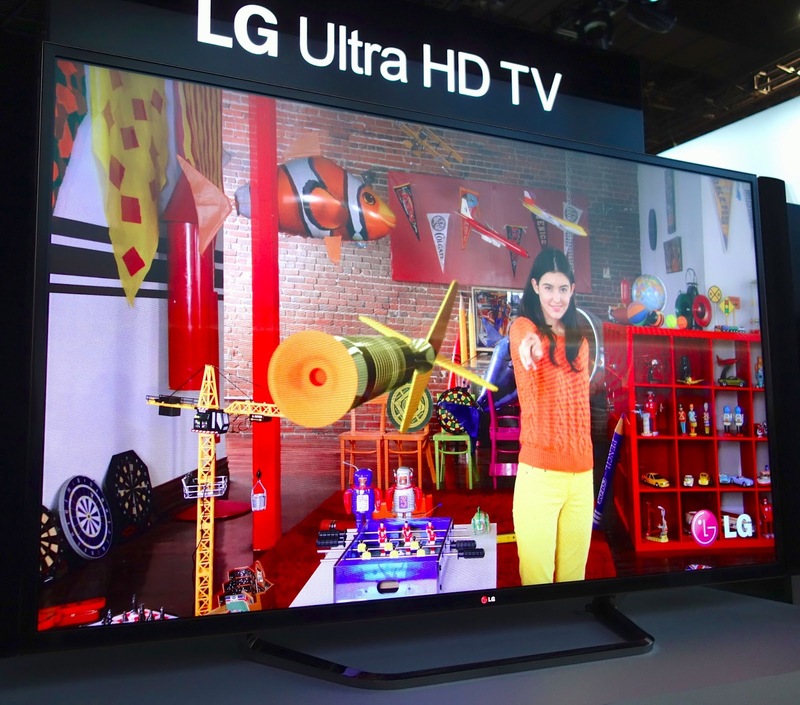 Televisions four times the pixels of your 1080p Full HD flat-panel. 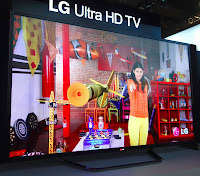 These displays feature a resolution of 3,840 x 2,160 pixels and have been universally branded "Ultra HD". 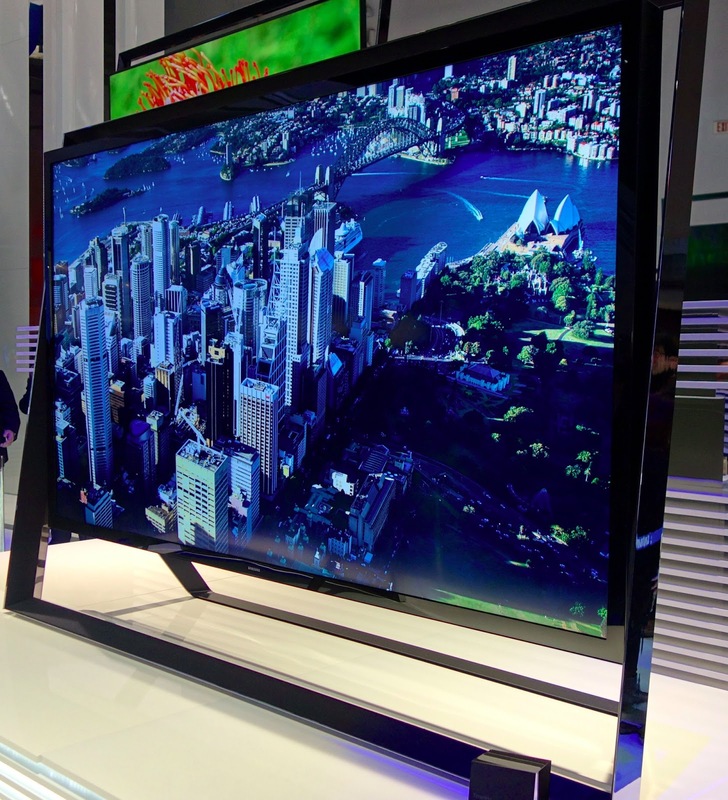 Unlike 3D, a 4K television is discernibly different...better than your current TV. Now there is a catch...actually three BIG catches that make this more of an introduction and not really a meaningful launch for a couple years to come. 1) Like any new technology this stuff is much more expensive than the current offerings. 2) The distribution mechanisms (disks, download, etc.) to deliver these very large, high-resolution files is not really there. You won't be "on-demand" at this resolution for quite a while. 3) There will be very limited amount of content produced at that much higher resolution. Sony was showing movies originally filmed in 4K but then downgraded to 1080p to feel "almost 4K" resolution to fit on a Blu-Ray disk or a bundled package with a 65-inch display, tablet and dedicated server to hold these big movie files for $20,000+. Just expect the library of available content to be slim for quite some time following the launch of these Ultra HD televisions over the next year or so. But I like where this is going. Not only is this image crisper and clearer, it also scales to support larger display sizes (65+ inches) while still keeping the content looking great. Also at these higher resolutions that 3D offering gets closer to being worthwhile. One big issue with 3D is that the current 1080p displays support 3D actual end up reducing the clarity of the image to support two frames at the same time to create the 3D effect. But at this higher resolution that reduction in clarity doesn't feel so noticeable. That might be different once we are use to a 4K pictures but for now is looked really nice. One last thing before I get into the specifics of what everyone was offering at the show. There is some new display technology on the horizon called OLED. I talked a bit about it last year but this year everyone was talking about it. Currently LCD is the popular high-definition display technology out there and it is getting better each year (brighter, less glare, deeper blacks, off-angle viewing, etc.). This new OLED technology is lighter, more flexible and easier to produce in large sizes. But the big advantage is that they don't require a special layer of glass like LCD's do which absorb some of the light...meaning OLED can be very bright, more vibrant and consume less power. It is still a new technology as you will see below but it is a pretty exciting development of the past couple years. 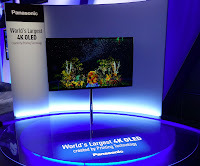 Panasonic had a slew of new LCD and Plasma offerings but their showcase piece was their 56-inch Ultra HD OLED TV which in my opinion had the best image quality of these 4K displays at the show. The television weighed around 27 pounds and was less than half an inch thick. This was a prototype and the Panasonic CEO was clear to point out that the cost of this tech is prohibitive but they are focused on how to bring the prices down. I really loved the combination of the OLED technology at this Ultra HD resolution. Very nice! As I mentioned earlier, I've not been a fan of the 3D offerings to date but I was impressed by LG's 84-inch Ultra HD LCD that was the largest 4K display to support 3D. With 8 million pixels to support the 3D (two frames at the same time issue) and its shear size...you really get an immersive 3D effect. And you can take one home later this year for only $20,000! At what point are they going to offering automobile-type financing for these things? 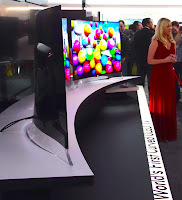 ;-) With regards to their OLED offering and to give you a sense of pricing for their larger OLED televisions, the first generation shipping this year is a 55-inch (4mm thick) TV offering1080p resolution at a price around $12,000! LG also demonstrated a 55-inch'ish slightly curved OLED to provide in theory better, more intimate viewing angles. This was just a prototype, I can just imagine this thing on my wall and me hitting the edge that sticks out of the wall every time I walk by but it was kinda cool to see. Samsung was also loaded with similar Ultra HD goodness. 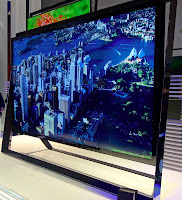 They showcased the most extreme 110-inch LCD also supporting the 3,840 x 2,160 resolution. But this product is a beast. Huge stand and quite thick profile to support the glass and lighting to present this resolution at that scale. Samsung also had a 55-inch OLED that they showed last year and looks to ship this year probably similarly priced to the LG. 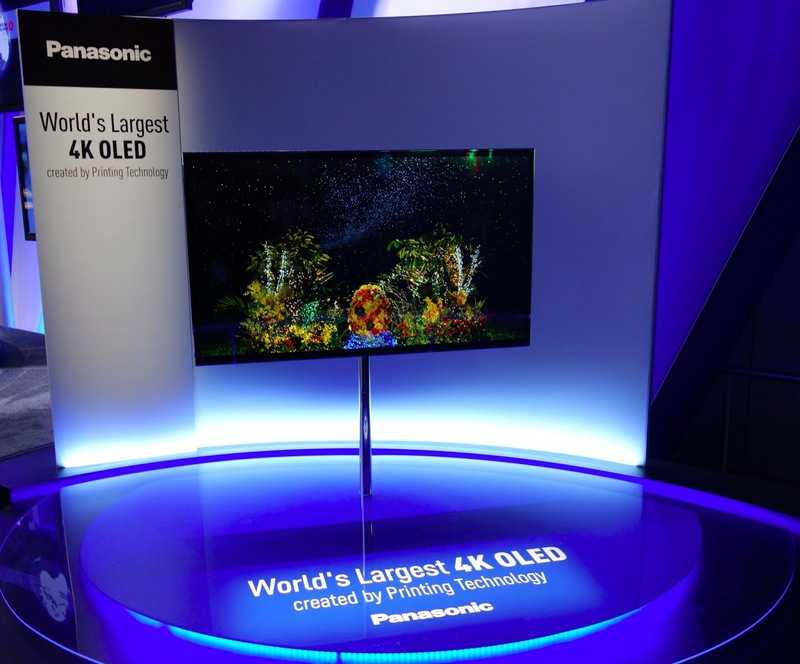 Sony demonstrated their Ultra HD solutions including 55" and 65" LCD versions as well as a 56" prototype OLED which made it the largest OLED Ultra HD at the show...by one inch! While the image quality was stunning I was not impressed by the integrated side mounted, non-removable speakers. Yes they were pretty but don't tell me you are going to buy a $5,000, $10,000 or $20,000+ TV and use the integrated speakers!? And like other manufacturers, Sony had an OLED Ultra HD product...it was a prototype with no pricing...matter of fact it actually didn't even work at the press conference (PC driving it died) but the units in the booth seem to work fine. Obviously this Ultra HD tech is early in its life cycle and will come down in price over the next couple years. Definitely a technology to watch but not to prevent you from buying a contemporary LCD from Samsung or plasma from Panasonic in the near-term. I probably am due for a new TV write-up soon. While talking about TV's...the thing everyone is waiting and watching for is the long-rumored Apple iTelevision. Apple does not participate at CES and nothing has been announced but it does make sense that a "giant iPad/app-enabled" TV leveraging the 100's of thousands of iOS apps has to be in the works inside the land of Apple R&D. These app-enabled TVs (SMART TV's) will become more and more of a thing over the next few years. Research today shows that people are limiting their app use to mostly streaming services like Netflix but as the TV manufacturers wizen up a bit and put the same level of computational power in their tablets into the TVs and evolve the user interfaces beyond basic TV remotes...people will get more and more comfortable with the improved services available. This trend is coming...we were definitely hearing more and more mention of multi-core processor power televisions...Samsung was even offering an upgrade for some of last year's TVs to an even more powerful processing unit you can add to the back of the older sets! Now that your data (books, photos, music, videos) is digital the next thing is being able to do stuff with your data. Many manufacturers were talking about wireless transfer solutions to move digital information quickly between devices. LG, Samsung, Panasonic, Toshiba, Sony, etc. All offered solutions. Some are talking about standardizing that hopefully will come to fruition over the coming year or two. Sony's new flagship smartphone, the Xperia Z was great at demonstrating all the different Sony accessories you just tap to seamlessly interface with. Mobile things are getting bigger. I really see this as a viable trend. With everyone in the family having personalize, unique content to consume...people will not necessarily all want to sit in front of one communal display when you can stream your own stuff to your own display. At the same time small phones, even tablets can potentially be too small to watch a movie on all the time. So here comes a trend of "bigger". Samsung and their Galaxy Note II (ie: huge smartphone), several manufacturers started showing/talking about larger tablets ranging upwards of 20 to 27-inches! Bigger portable displays to consume content while still small enough to move from room to room could be a hot new category. 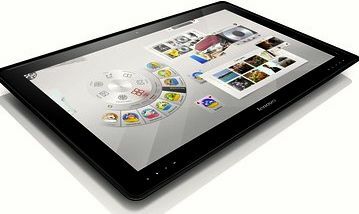 Lenovo's Horizon is a great example of this "bigger" trend, a 27-inch tablet running Windows 8. Lenovo says they are targeting home use, families and schools. They see this size as ideal for 2 or 3 people to work together or experience custom games made for the larger screen real estate. EA and Ubisoft (two large game publishers) are already working on a couple games for this solution. Priced at $1,700 is a bit of an issue and a battery life when "unplugged" of only 3 hours limits its applications but I can see how this type of solution will mature over the coming years as the power, price and weight issues get further addressed. This year your access to content will continue to be more personalized with unique user logins and customization features. Tap your phone to a speaker and they are linked. Tap a picture on your tablet to the printer and it prints. Tap smart devices with a friend and transfer a movie clip. TVs that show a range of apps and video content based on who is viewing. Smart refrigerators...even the main console display in a new Chevy's can drag and drop apps to be configured to your personal preferences. Ford even introduced a developer program to enable 3rd parties to make apps for your car! 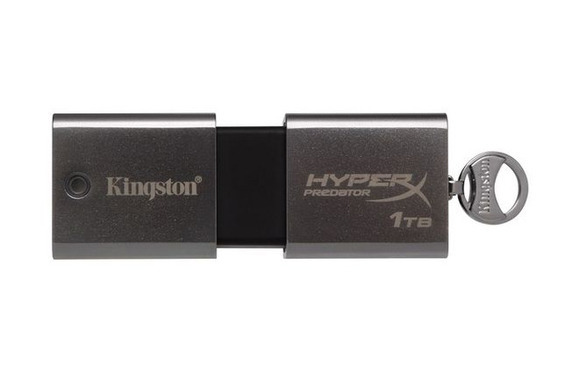 Speaking of mobile and taking everything with you, what about Kingston's 1 tera-byte USB drive! No price yet but a 512 giga-byte version sells for around $1,700. In the realm of camera products at the show, I was definitely disappointed. 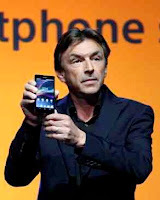 2012 was a spectacular year with tons of innovation, meaningful updates and new form-factors. 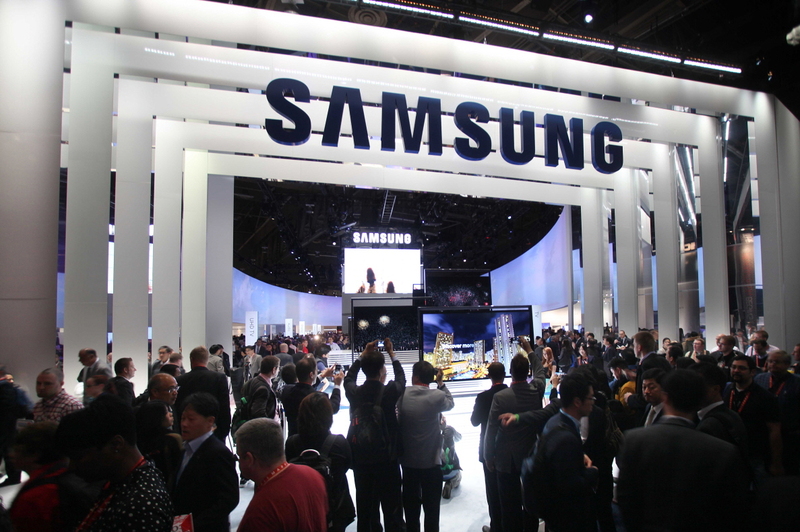 But CES didn't offer much new stuff worth mentioning. 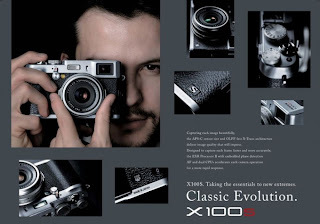 Probably the only exception was the Fuji X100s which upgrades the retro-styled popular camera from last year to a 16.3 mega-pixel APS-C offering. The new camera also has an updated lens, faster processor and new solution that allows for even quicker focusing (something the original already did well). Expect this camera to come to market for around $1,300 in March. You can preorder the X100s at Amazon. 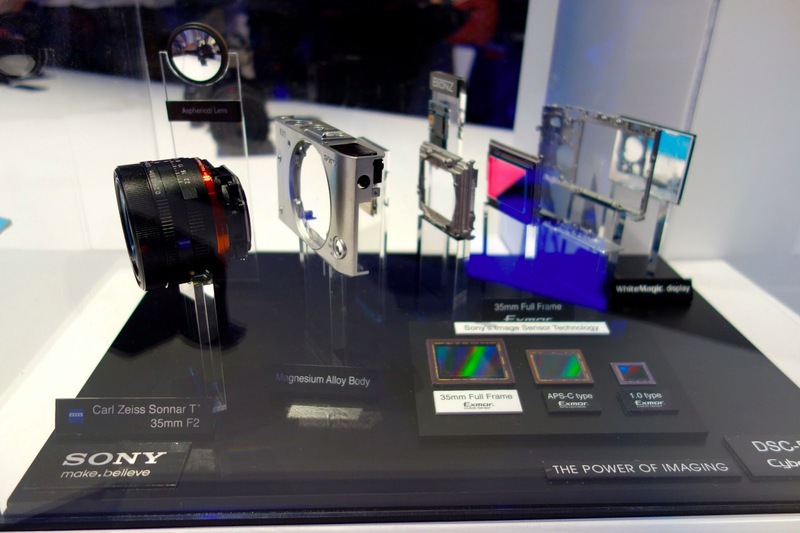 Sony is really on the cutting-edge of leveraging a Full-Frame (35mm equivalent) sensory is a whole range of products to provide a premium image quality over their peers. They had a compact Full-Frame called the Sony DSC-RX1 as well as a high-end camcorder that supported the Full-Frame sensor. The RX1 was probably the most agressive example of leveraging the large sensor versus a competitive set that typically holds the full-frame for their higher-end Digital SLR products. But this compact camera does come with a DSLR-price tag of $2,800! 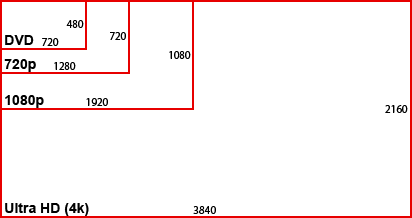 Yes, there was an updated Nikon D5200, some new point-n-shoots from all the manufacturers, etc. I will do a more robust photography right up after the dust settles with some more real-world, hands-on details. I'm still looking for a "real" analog control solution for my iPhone and iPad. Apple has some "crazy" restrictions on what a peripheral can do with an App that limits the use of a real joystick controls across games on the iOS platform. I wish that restriction would go away because we could evolve games on these devices to have more advanced, serious gaming options. 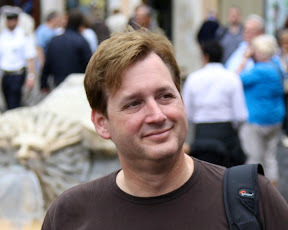 Even on Android there is no quality solution that is universal and easy to adopt. 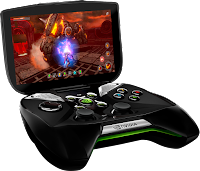 So Nvidia (the maker of one of the more powerful tablet computing chips) has leveraged their next-generation CPU into a dedicated Android mobile gaming platform...Project Shield. I'm holding judgement but I am putting this on the freaky side for the time being. 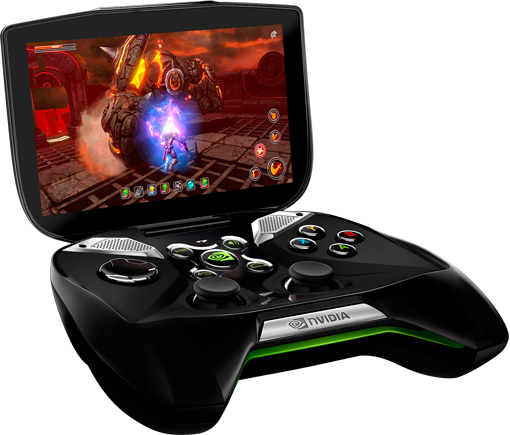 To fully take advantage of the product as presented at CES, you need a PC computer with a contemporary Nvidia graphics card in it. You then connect to your PC via wi-fi to stream the gameplay. Odd...huh? If I was them I would just focus on making their interfaces well understood for getting an Android game running well on their CPU and controller hardware. But they have their own plan. This is still just a prototype so we will have to wait and see where this goes. 1) Phones, tablets and TVs will grow in size, resolution and powered with more capable CPUs to make information and content more viewable/accessible. 2) Now that all your content (pictures, books, music and videos) is digital...it will become more and more important to make it easier to share and distribute these assets. This is a call to action for the manufacturers to ensure they are putting enough focus on the software and standards for connecting, pairing and sharing information. 3) The user interface needs to be evolved to make sure access to content is contextual and specific to the user(s) needs and preferences. Yes there is a ton of other product categories but I really didn't see much "new and novel" to justify overly discussing these here in my trends section. I will be doing a couple odds and ends pieces to cover some of them in the coming week or so. This includes health and fitness, audio, photography, video, wireless storage and the like. Wishing you a happy, prosperous and full of cool products 2013!